I was super confused when I woke up this morning - I really thought it was Wednesday. So, if you've been following my workout log on the sweat seshes page, you might be noticing that I've been trying to mix things up by alternating my cardio days with a little strength training. "Weight lifting" has never really been my cup of tea - I would definitely fall into the category of cardio queen. However, for my body, I need to mix things up a bit to see results. 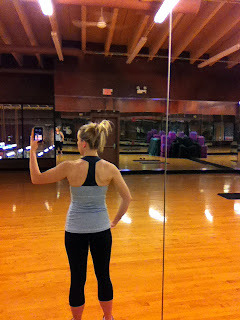 Since adding back in some more weights, I have definitely been noticing some subtle results. 1) There is a lot more definition in my arms. Justin felt the need to tell me that when he met me, I didn't have a SINGLE muscle in my arms. That, my friends, was part exaggeration, part truth. But, scrawny arms be gone! 2) I just feel overall more "toned." 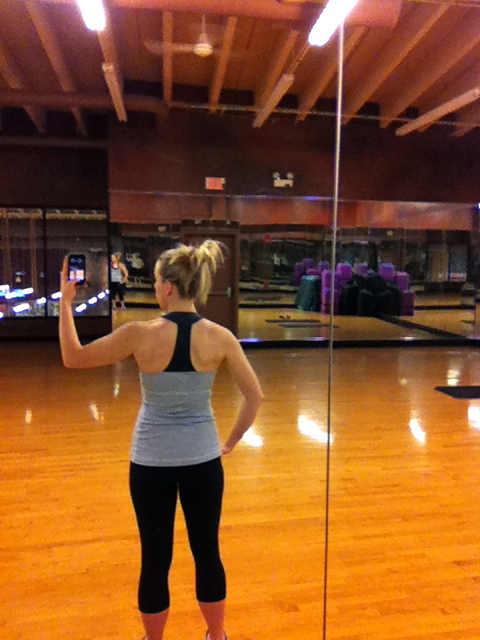 I don't know if I'm actually getting "smaller" (wasn't really the focus), but I do feel leaner. I found this little gem in the most recent Shape Magazine, and it is a doozie. Get a video how to here. This is a great quality over quantity circuit. Repeating the set 3 times only takes me about 15 minutes. If you want to do a quick cardio sesh after the circuit, give Gina's 15 minute February Schweaty Workout a try. I loved it! I get to go watch a trial today and hopefully enjoy a little client lunch, so I'm excited!